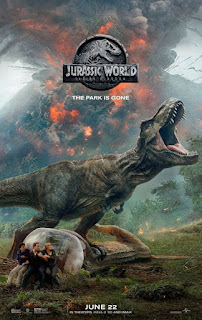 Jurassic World did a pretty good of breathing new life into the Jurassic Park franchise by acting as a new starting point for fans while still more or less continuing the story of the original movie trilogy. These movies have always been more about creating an enjoyable cinematic experience and not necessarily craft a seriously innovative narrative. And this formular for popcorn movie success has kept the franchise largely alive for some time. Jurassic World: Fallen Kingdom is a continuation of that newer story and a serious attempt to keep this movie franchise going by expanding their dinosaur story well past the island. 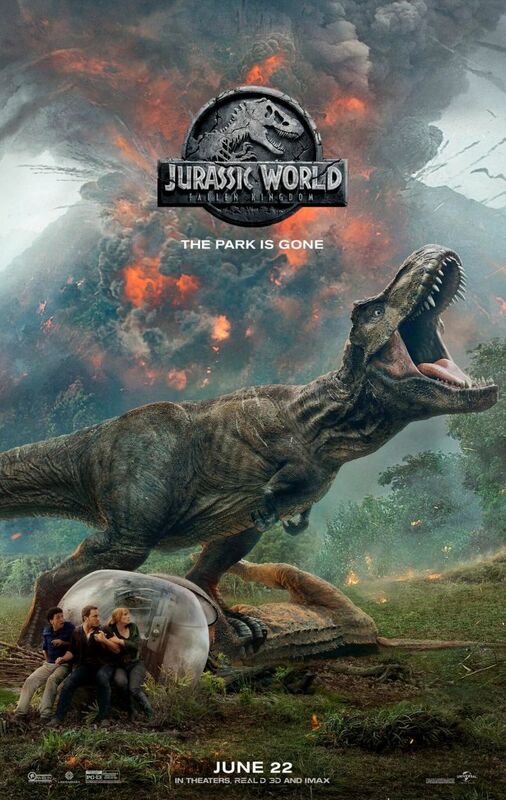 I suppose we all should have seen this coming from the change in the franchise title name but it takes a while for dinosaurs to become that prevalent a concern. It is interesting to note that this movie continued to incorporate callbacks to the first movie in different, creative ways, which felt like a fun bit of fan-pandering worked into the action much to great effect. They continue to try to balance engaging new fans while still giving the older generation something to pick apart and enjoy. Synopsis: Jurassic Park: Fallen Kingdom is the fifth movie in the Jurassic Park film franchise and is a direct sequel to Jurassic World. It was directed by J.A. Bayona with a screenplay by Colin Trevorrow and Derek Connolly. It has been three years since the events of Jurassic World and the island of Isla Nebular is now under threat as the previously dormant volcano has become active and threatens to erupt any day, potentially killing all the prehistoric animals left on the island since the closure of the park. World governments continue to debate on whether or not they should become involved given at the end of the day it is an incident on a private island and could be none of their business. Former park manager Claire Dearing (Bryce Dallas Howard) now heads up a volunteer group petitioning US Congress to save the endangered dinosaurs. But the Senate eventually votes not to get involved, much to Claire's dismay. But another oppotunity comes along when Benjamin Lockwood (James Cromwell), one-time partner of Jurassic Park founder John Hammond, reaches out to her with an offer to help save at least 11 different dinosar species from extinction. But they need her help to gain access to the island's dinosaur tracking system and hopefully to enlish the help of Owen Grady (Chris Pratt) to join the expedition as well given he is the only one who stands a chance of tracking and caputuring Blue, the velociraptor he had trained to take human commands. What I Liked: The big island exodus was a crazy scene but one that was a great time to highlight different dinosaurs, have a lot of action and just have fun. Moments felt similar to the big running sequence in the first movie but with a lot more dinosaurs, crazy volcanic debris and a good amount of shouting and screaming. The movie had good moments like this that had different dinosaurs shine in their own way. But admittedly I loved how it tried to situtate itself in a way that more or less acknowledged common criticism of past films and yet still celebrated a lot of the franchise's tropes. Thus we have a lot of fun references like the whole big with a dinosaur charging a dumbwaiter while a door is desperately trying to be closed or how innocent shadows extend to reveal a dinosaur's profile. Just look at how Claire is first shown with an emphasis on her high heeled shoes but for the rest of the movie she's in sensible boots. Crazy fun. What Could Have Been Better: The movie does feel a little too trapped by the franchise's tropes. Thus the main plot of needing to go back to one of the Jurassic-related islands in order to retrieve dinosaurs only for things to go wrong feels too familiar. Even the hired muscle in terms of the not-at-all trustworthy mercenaries feel all-too similar to the past big game hunters turned dinosaur hunters from prior movies. A lot of this will feel like it's something you've seen before. We also got some new characters with very little background, minimal character development and limited screen time as an odd supporting cast. They were there and somehow important but on the whole forgettable since they were merely agents of the plot who had to fulfill tasks. Keep the dinosaur alive! Get into the computer system! We don't care much else about you so stay in the background. TL;DR: Jurassic World: Falling Kingdom is not the smartest movie but is a fun and enjoyable one. You don't need to have seen the original trilogy of movies but if you did then you'll have a lot more to enjoy - keep your eyes peeled. Thus the movie gets a good 3.5 dinosaurs rampaging inside the mansion out of a possible 5.